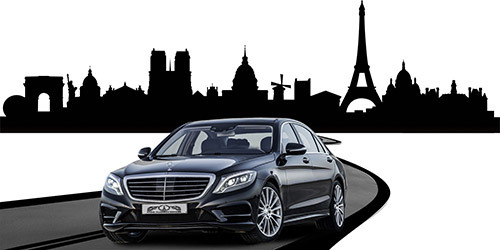 Paris Platinum Service is a 24-hour Executive chauffeured car service. We guarantee complete reliability, professionalism and discretion, providing the ideal standard of service to companies and private individuals with our professional, respectful and reliable service throughout Paris and France. Experience our premium travel service that ensures an efficient, attentive and diligent service. Allow us to greet you at a location of your choice and whisk you away in style, comfort and total safety. Paris Platinum Service provides a chauffeur driven car service for company directors and executives with a professional, considerate and reliable service. We will take you to your destination in an appropriate manner ensuring you are on time, every time. We also provide flexible, tailored account packages to meet your company's needs. Paris Platinum Service also provides a chauffeured service for any occasion when you require a private chauffeur. Whether you wish to spend the day shopping in a convenient and luxurious manner, or have your very own personal chauffeur to visit this exquisite city, then our private car services will adapt to your exact needs and make you feel very special. Our Fleet is the epitome of elegance and style, with on-board facilities.